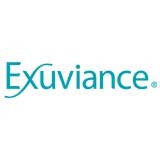 We've partnered with Exuviance to bring you the expertly formulated antiaging treatment for radiant skin. Whether it's multimasking or jade rolling, here at POPSUGAR, we're always on the lookout for the next big trend in skin care. There's no denying that intensive antiaging regimens and aggressive treatments are becoming more and more popular. But when we started coming across a rise in a seven-day exfoliation regimen, we were left puzzled. It's a typical industry standard to exfoliate two to three days a week in order to remove dead skin cells and improve the overall appearance and texture of skin. 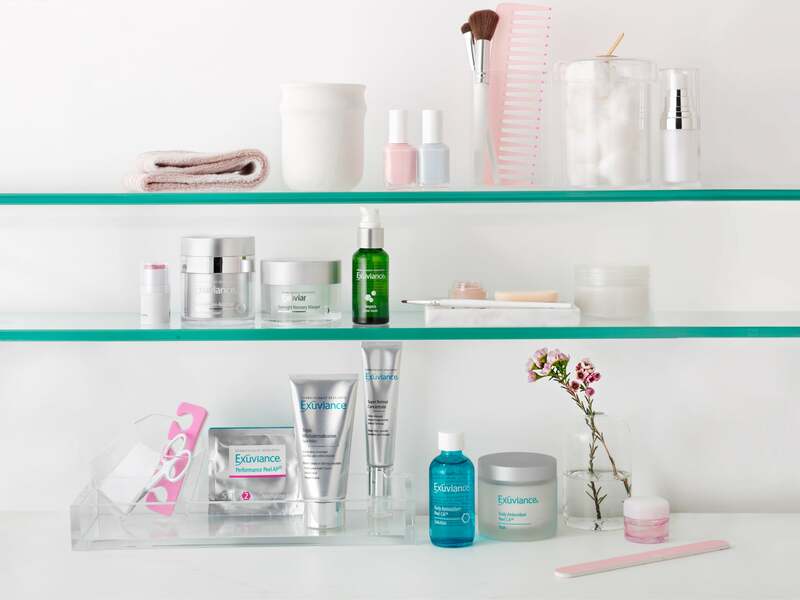 So why are beauty girls extending that regimen? Is it actually better for your skin? And more importantly, is it even safe? With the help of a dermatologist, we set out to uncover the truth and determine once and for all how often we should really be exfoliating. We learned that exfoliating seven days a week is totally possible. In fact, it's even recommended by some dermatologists, including Dr. Jeremy Fenton of Schweiger Dermatology Group, for younger looking skin. But, as with all treatments, it's important to proceed with caution. "Most everybody is going to need to work up to their ultimate regimen," said Dr. Fenton. "I always tell my patients no matter how strong your skin looks, don't start out exfoliating every day first. All people should gradually build up to something as opposed to starting right off the bat." What does that look like for you? Here, we broke down an optimal regimen and products for different skin types. Keep reading to discover how you can work your way up to a seven-day routine for clearer, more radiant skin. For those with sensitive or dry skin, Dr. Fenton suggests gently exfoliating on a regular basis rather than using a strong exfoliant once a week. "The end result will be the same, but with less irritation the day after treatment," he explained. For this type of slow and steady routine, he suggests a non-acid peel to encourage cell turnover and help achieve better clarity, a smooth finish, and an even tone. "Start out with this two times per week and build to daily over the course of a month." Then follow up with a moisturizer, serum, and overnight mask to restore suppleness and help your skin recover. "If you build on a regimen over the course of years, then you can eventually get up to a much more aggressive regimen even if you originally had more sensitive skin," he advised. 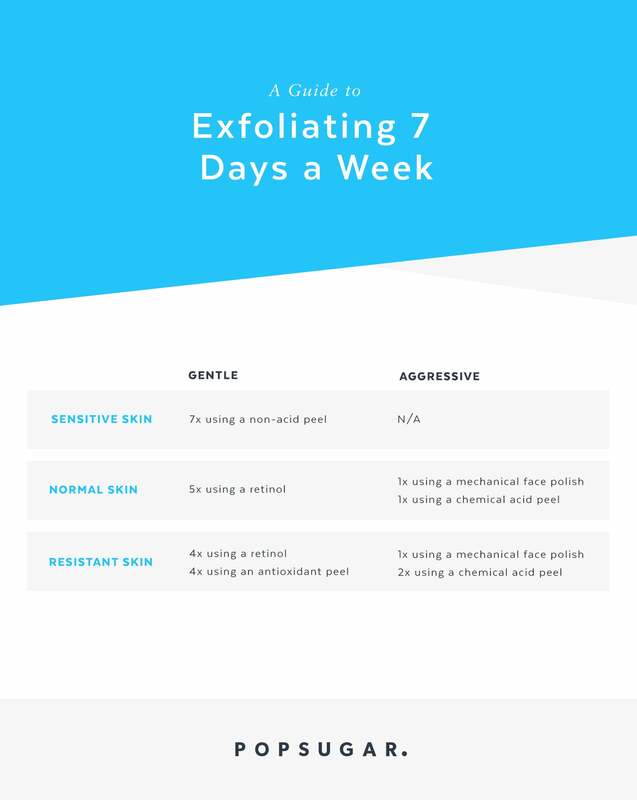 If you have normal or combination skin, Dr. Fenton suggests breaking your regimen into a gentle exfoliation five days a week and an aggressive exfoliation two days a week. First, start by incorporating an antiaging retinol as the gentle exfoliator. "Not everybody thinks of it as an exfoliant, but it does exfoliate off the top layer of the skin," he said. "It also helps to promote collagen and give a long-term benefit against wrinkles." Even if you don't consider your skin to be sensitive, he still advises starting out conservatively with three to four days a week before increasing to five days a week over the course of a month. Then, once your skin has grown accustomed to the five-day retinol routine, which can take another month, you can start adding in a more aggressive exfoliant for the remaining two days, one chemical and one mechanical. For the chemical, a performance peel with alpha hydroxy acid (AHA) exfoliates dull surface layers, helps diminish the appearance of pores, fine lines, and wrinkles, and improves clarity and brightness. For the mechanical, a microdermabrasion face polish that contains crystals will help dissolve impurities and loosen dead skin cells. As with sensitive skin, follow up the regimen with a serum. 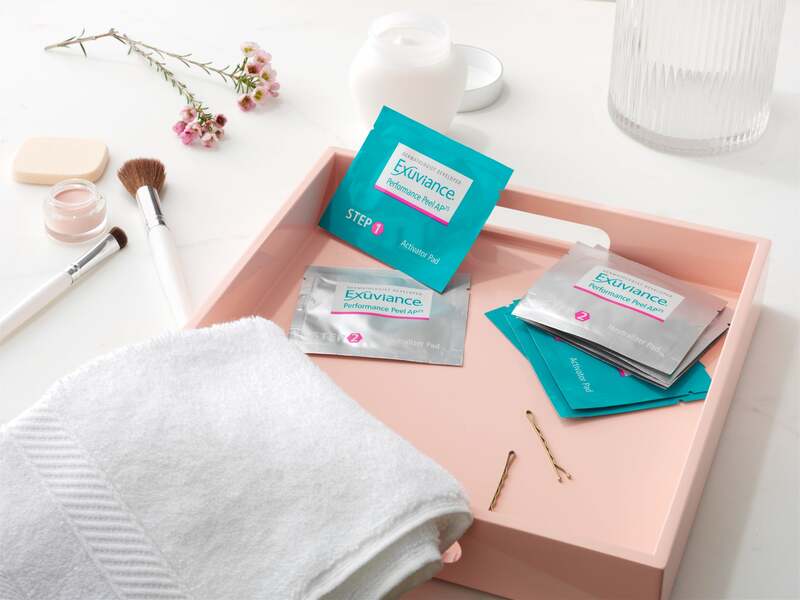 Skin that has been built up to tolerate something more intensive can benefit from cutting back the gentle exfoliating to four days a week and stepping up the aggressive exfoliating to three days a week. For this type of regimen, Dr. Fenton suggests continuing with a retinol for the gentle days and adding in an antioxidant peel to further prevent signs of aging. Then, for the aggressive days, he suggests continuing with one day of mechanical exfoliating using a face polish, while increasing the chemical exfoliating to two days using a performance peel. And of course, don't forget to follow up with a serum.